AquaZoneJuly 27, 2006 (JP)Japanese game, not likely to be localized to other countries. This game is an fish simulator. You build the aquarium, stock it with fish, and put plants and rocks, and other features in there to try and make the fish happy. Using the power of the Xbo..
KinectimalsNov 4, 2010 (US)Kinectimals transports you to a magical island where you can raise your very own wild animal. Choose from five different exotic pets each one of them more adorable then the next. Teach them commands, play with your animal and compete in contests. You..
ScreamRideMarch 03, 2015ScreamRide is a full-featured, physics-based coaster game where creativity and destruction are equally welcomed. With more than 50 events and three unique game modes, ScreamRide unleashes the power of unbounded creation, addictive gameplay, and extre.. The OutsiderTBA"The Outsider" is a gripping, high-tech thriller played out against the backdrop of a living, crowded city based on present-day Washington DC and its environs including the CIA HQ at Langley, Andrews Air Force Base and Newport News Naval Do..
Thrillville: Off the RailsOct 19, 2007Build, create, and experience the theme park of your dreams in Thrillville: Off the Rails. Off the Rails lives up to its name with 20 death-defying rides so outrageous, they inspire the same word from every park visitor who sees them: “WHOA!” .. 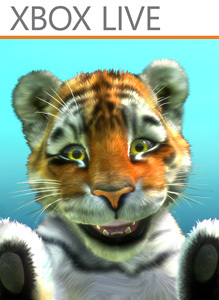 Zoo TycoonNovember 22, 2013Zoo Tycoon is a new zoo management video game for Xbox 360 and Xbox One. With tons of beautiful species, reactive gameplay and real calendar tie-in, this zoo simulation will charm Tycoon fans and new players alike. Perform intuitive face to face inte..
Ratatouille offers a fresh and exciting take on the platform action genre. The game will engage players in deep, fluid, and fast gameplay through fun filled mini-games, daring heists, frenzied pursuit..